There are about 20 major holidays in the U.S. alone, not counting special and cultural holidays. That means you have 20 opportunities to give and receive gifts in a year. That’s a LOT of chances to get something nice. But what if you knew that it’s normal to accept gifts every day? Would you allow yourself to be spoiled that much? According to professor of Psychological and Brain Sciences, Susan Krauss Whitbourne, Ph.D., people are often reluctant to take care of themselves. This explains why you won’t think twice before giving your kids an expensive toy, but you’ll feel guilty buying yourself new shoes. That’s not to say that you’re not being practical or that you’re selfish. Rather, learning to give ‘gifts’ to yourself everyday will help you become a more balanced individual. When you’re better in tune with yourself, there’s more love to share with those around you. But what sort of gifts should you give yourself? Ultra-comfy fluffy slippers? How about a self-stirring mug? Stuff is nice – but it’s best to invest in gifts that won’t change or deteriorate over time. Give yourself these six gifts that cost little to none, but should make each day more special. 1. The gift of pause. Life today has become busier than ever. Work for eight hours, hang out with friends, catch up on the Web before midnight, wake up by dawn, take care of family on weekends, rinse and repeat. Day turns to night and you wonder about another trip that didn’t push through, or another call that you didn’t return. It’s certainly not practical nowadays to simply leave it all behind. But you owe it to yourself to TAKE A BREAK – even if for just a few minutes. The gift of pause should clear your mind, helping you make better decisions. Stuck between deadlines at work? Pause, breathe in, and slowly exhale. Full schedule ahead? Wake up slowly instead of immediately reaching for your mobile. Stressed with your spouse? Enjoy a warm cup of coffee or tea before things get out of hand. You don’t need to hop on a plane to give yourself a well-deserved break. Often, just stopping to smell the flowers is enough. When you’re stressed or angry, the last thing you can think of is to listen to music. But before you continue work on a foul mood, there are scientific studies that suggest music can have beneficial effects on individuals. In one research, listening to soothing sounds has helped participants recover faster from stressful stimuli. de-stress after a long day. reduce burnout and the blues. Simply turn up the volume and sing – or dance – your troubles away! Not at home? No problem. Simply pop on your headphones and hum to your own tune. There’s no reason for you not to enjoy your favorite songs every day. 3. The gift of laughter. You already know how things like proper diet, exercise, and meditation are good for you. But what about something as simple as laughter? Although research about its mental and physical effects is still vague, you’ve no doubt felt better after a few seconds of genuine hilarity. Whether you’re giggling from a friend’s joke or chuckling over a funny sitcom, it’s usually enough to turn a bad day around. Laughter may not be the best medicine (yet), but it sure can foster good relations as it helps us connect with the people we share giggles with. Don’t deprive yourself of the gift of laughter. Play with your kids or partner. Read witty articles or comics. Use the web to quickly get your daily dose of fun. 4. The gift of nature. Trees, flowers, mountains, and hillsides not only look great, they also promote health and wellness. There are numerous studies that support how nature is good for us: from inspiring people to take on more active lifestyles, to helping patients cope with various health conditions. Even if you live in the urban jungle, you deserve a bit of greenery to brighten up your days. Visit your local park or garden whenever you feel the need to de-stress. No park nearby? Try growing your own garden at home, or bringing a cute potted plant to work. Absolutely pressed for time? Simply look outside your window and scan for something green. 5. The gift of health. Visiting a spa or sauna. Getting a massage from a loved one. 6. The gift of love. Love certainly is what makes the world go round; what makes us get up in the morning, and the reason why we pursue the impossible. If you want to give more love to the world, there’s no better place to begin than with yourself. Every day, each of us is given multiple chances to take care of ourselves. But often, modern expectations trump over this principle. We push ourselves beyond our limit, we lose sleep and appetite, we neglect the activities we enjoy. This leaves us feeling depleted. By the time our friends and family come to us for a shower of love, we can barely give a drop. But the beautiful thing about this gift is that it doesn’t keep count. Our loved ones forgive us, and we’re free to begin again. Don’t rob yourself of love: talk to friends and family whenever you can, spend time with your kids, write in your journal, or enjoy the solitude. 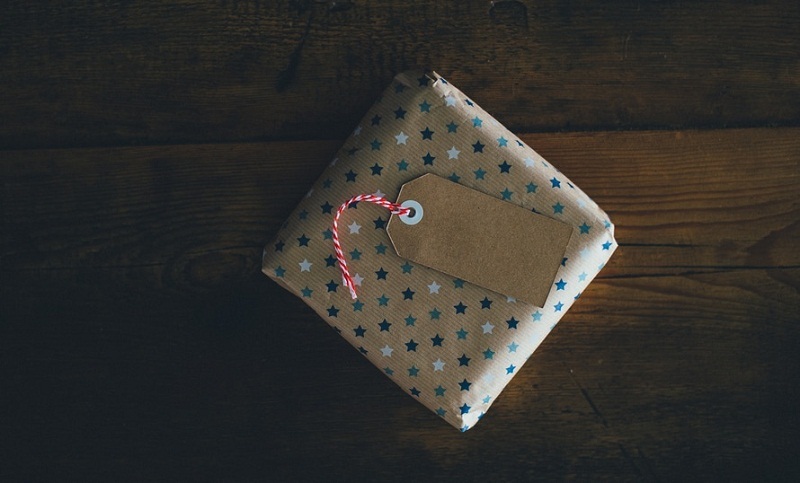 This is the least expensive gift of all: yet it pays for itself tenfold. You deserve priceless gifts. It may not be shiny pearls, or an expensive car – but trust in these gifts to make every day more beautiful. Cristina Antonio is the EIC of scoopfed.com and a writer of all things related to world news, movies, real estate, health, or social media. She’s currently focused on helping healthcare workers find better career opportunities through Locum Tenens. Cris also enjoys painting, collecting toys, reading German novels, and lurking the Web.